Nottingham Lakeside Arts are delighted to present the first major exhibition of photographer Roger Mayne’s (1929 – 2014) work since 1999. 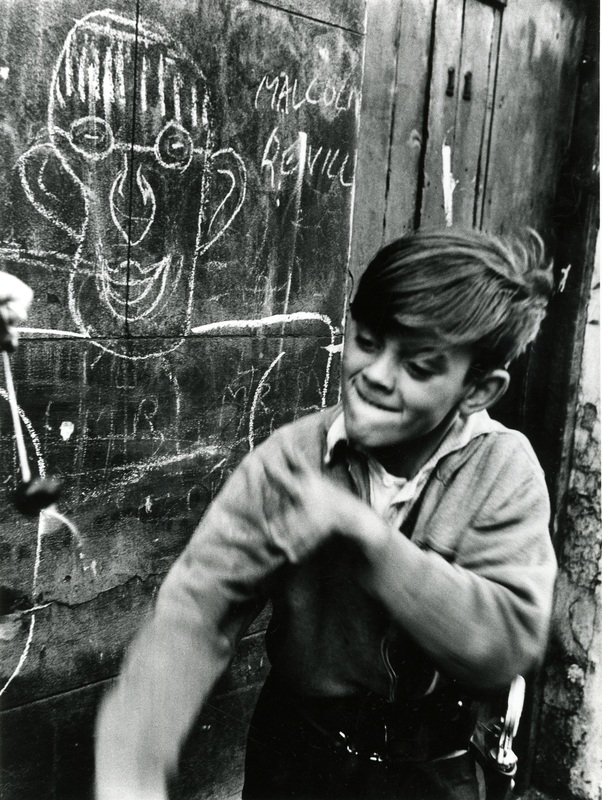 Roger Mayne is best known for his pioneering images of community life in London’s Southam Street in the 1950s and early 60s, featuring Teddy Boys and children at play. Making his debut as a young photographer for Picture Post in 1951, he went on to work for clients including the Observer, Sunday Times, Vogue, Pelican Books and BBC TV. In addition to his depictions of Southam Street, the exhibition also features some of Mayne’s less well-known work from locations outside the capital. These include images from his young adulthood in Leeds in the early 1950s where he first developed his photographic interests. Between 1961-65, Mayne visited the newly developed estate of Park Hill in Sheffield. The concrete high-rises may seem a far cry from the crumbling Victorian terraces of Southam Street that had previously inspired him, nevertheless, his photographs of the residents conveyed similar sharp observations of the social interactions of daily life. 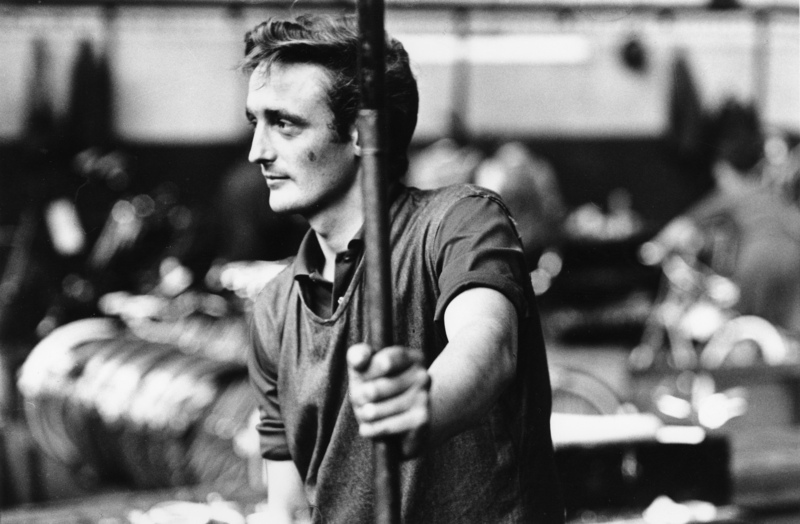 In 1964, Mayne worked at Raleigh Cycles in Nottingham, where he embraced the dynamic setting and low lighting of the factory to produce a series of heroic portraits of the workers. These pictures were commissioned as film stills for Philip Donnellan’s TV documentary The Factory that followed apprentice Joseph Bonner during his first day. 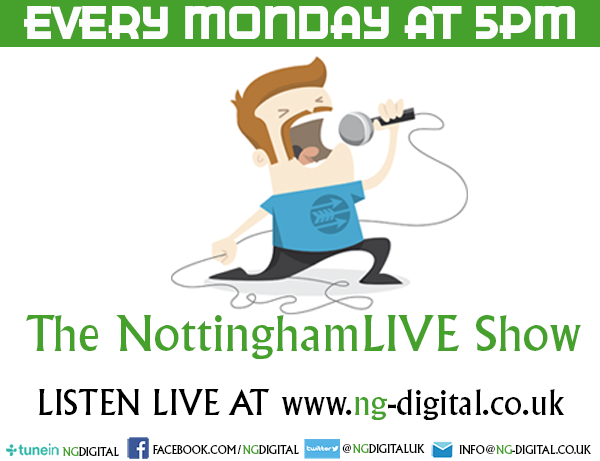 Mayne’s reputation as a ‘street photographer’ commended him for another commission in Nottingham five years later. Photographing in the streets of St. Ann’s, he produced the front cover image for Pelican’s ‘classic study’ Poverty: The Forgotten Englishman by Nottingham University researchers Ken Coates and Richard Silburn. Also in the exhibition, and restaged for the first time since 1964, is Mayne’s slide- projection installation The British at Leisure. Commissioned for the Milan Triennale, it features 310 colour images projected on five screens to a jazz score by Johnny Scott. The exhibition has been organised by The Photographers’ Gallery, London, and curated by Anna Douglas and Karen McQuaid in collaboration with Katkin Tremayne, Roger Mayne’s daughter. Co-curator, Anna Douglas, examines Mayne’s activism around photography, including his writing, exhibition curating, publishing and collecting. She considers what it was that marked him out amongst his generation, and that arguably paved the way for Fine Art photography in Britain today.